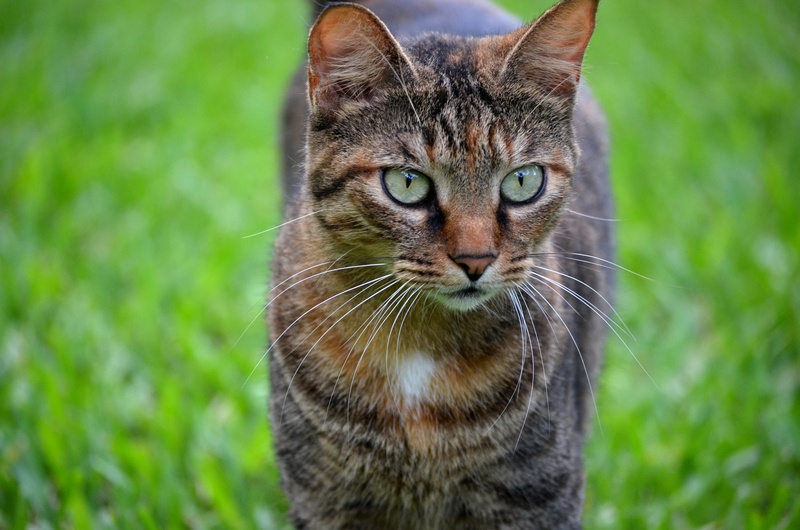 Guests at Tranquility Bay will love “feline” in touch with the resort’s wild side when they meet the majestic mix of orange, tabby and white-furred cats residing inside. Marilyn, Emmy, Stanley, and Ducky are the cutely-named creatures who have made Tranquility Bay their home since being rescued from the local Keys Animal Hospital. Under the loving care of local vet Dr. Dunn and our General Manager Bob, these four feline friends have become part of Tranquility Bay life, enjoying nutritious meals that are specially prepared for them during the day. 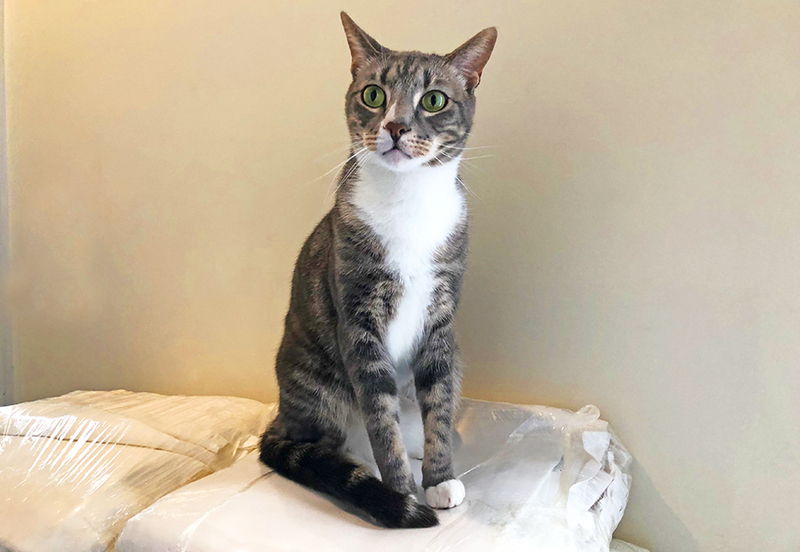 When Bob is onsite, he can be spotted taking time out of his busy schedule to ensure each cat is receiving the level of nurture he or she needs. What makes our resort pets so special, is how they have easily adapted to life after Hurricane Irma when they had to be kept inside to protect their safety. With dangerous debris to clean up, and large equipment causing a disturbance outside through the day, looking after each cat’s welfare became more important than ever. As the work continued and the tropical heat increased, it’s easy to see why the cats have become so attached to their indoor sanctuary. Our private offices inside Tranquility Bay are now their safe haven. Guests are more than welcome to meet the cats and pet them in our offices. Our staff at the front desk will gladly introduce you. 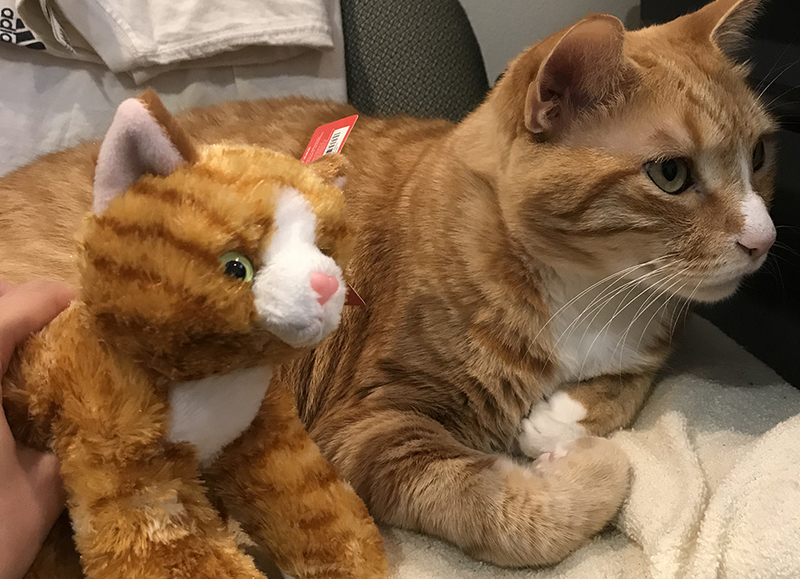 We asked Bob which cat is his favorite and he replied by saying that he loves them all, and is so pleased that we were able to rescue them to provide a caring home. He added that it is amazing to see how much the guests fall in love with Marilyn, Emmy, Stanley, and Ducky. “We constantly receive emails from guests who want to check on their favorite cat,” Bob said. This is Ducky who has a distinguished orange tabby coat and loves to roll over to show off his tummy when guests gently pet him. Ducky gets his name from Duck Key where he was found abandoned. 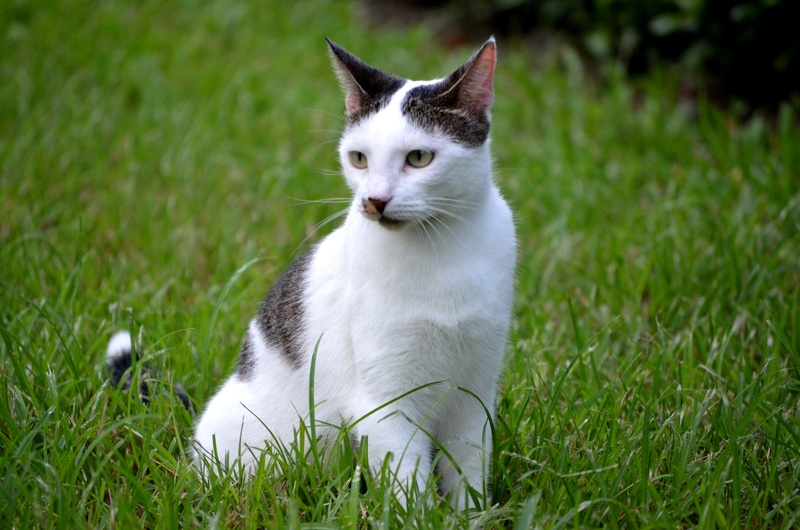 Meet Marilyn, the beautiful white cat peppered with a few black spots (including a little smudge on her cute nose). She likes to be vocal, so it’s easy for guests to listen to all she has to say. Marilyn is at her happiest when lounging around, but definitely does not like to be picked up! 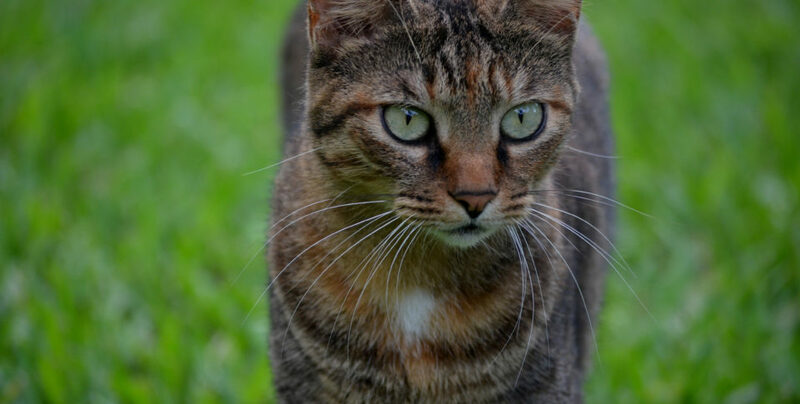 Emmy is our stunning green-eyed tabby who has a yellow color running through her fur. She loves to feel pampered! 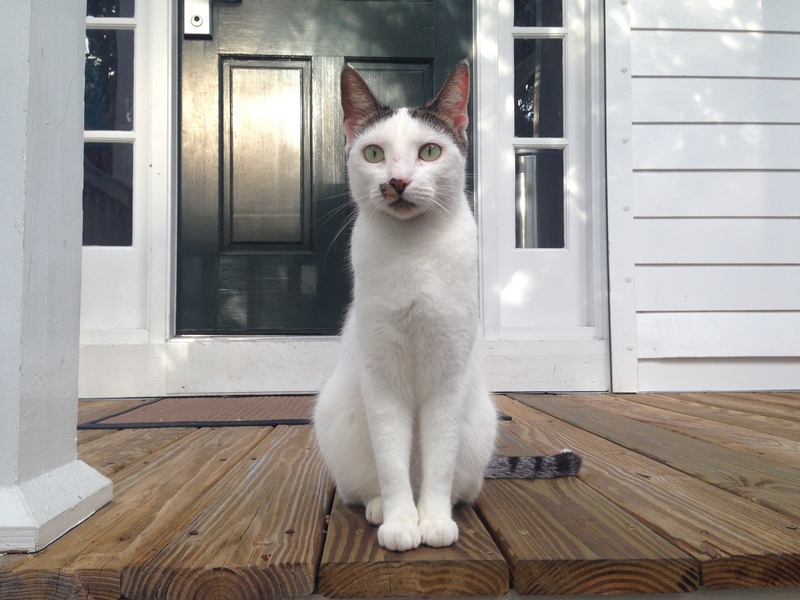 Last but not least is Stanley, who is a gorgeous addition to Tranquility Bay with his gray and white coat. What a handsome boy! Beyond the grounds of the resort, Marathon has plenty of places for guests to explore the wonderful wildlife of the Florida Keys. The Dolphin Research Center, Wild Bird Center, Nature Center of Crane Point Hammock, Aquarium Encounters, and the Turtle Hospital are all popular attractions for nature lovers. A paddleboarding trip on the water is also a fantastic way to get close up to the island’s colorful wildlife. For more inspiration on activities to enjoy and places to explore during your Florida Keys vacation, visit here.